“Fashion Without Limits” promotes the creation of size 12+ designs in the junior year through a special competition. In addition to curriculum changes and the competition, the fashion design program plans to offer a related speaker series. The program is currently fundraising for the purchase of fabric and other associated costs to support these endeavors. 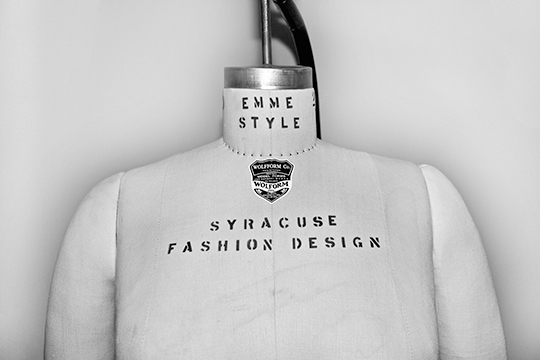 To make a donation to the “Fashion Without Limits” design initiative, visit http://vpa.syr.edu/alumni/get-involved/donate. (If you choose to give via our secure, online giving site, please specify “Fashion Without Limits” in the “Gift Information” section.) For more information about the initiative, contact the VPA Office of Advancement at 315-443-7095.